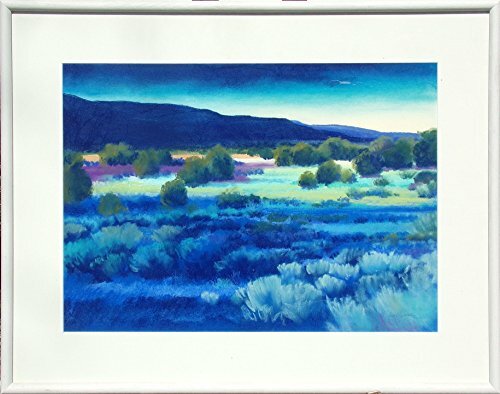 Original pastel drawing of a desert landscape at night. Luminous colors. Framed Size: 22" x 28", Image Size: 15" x 21". Offers welcomed.